The first all-in-one HVAC solution. THE WORLD LEADER IN HVAC DESIGN AND ENERGY SOLUTIONS. Serving both residential and commercial businesses. energy auditors and raters, and educators. REINVENTING THE WAY YOU DO BUSINESS, FROM PLANS TO PERMITS. Featuring an easy-to-use, intuitive drag-and-drop interface. From over-the-phone troubleshooting, to in-person classes, we have you covered. The most comprehensive start-to-finish HVAC tool for every business. Designed for the computer novice to quickly and easily perform ACCA calculations and in-home sales consultations. Our technical support team is available to help you from Monday - Friday from 8:30 am - 5:30 pm EST. For over 30 years, our team of specialists have been working with the top names in HVAC to develop new software to build more profitable businesses and increase industry standards. Offering impressive technological solutions designed to adapt with the industry and separate your business from the competition. "If you're a Wrightsoft user and have been wanting to go to the next level, Right-CAD is it. I'm not conversant with CAD but I was up and running with 3D almost immediately, importing some of my more complex duct designs already created with RSU, and amazed at seeing what I could only imagine before. The 3rd dimension takes the guesswork out of interstitial duct runs, navigating dropped ceiling areas, dropped girders, etc. Learning curve is simplified by utilizing the familiar tools & tabs already within RSU, and yet with lots of bells and whistles for rainy day exploration and further fine tuning of design presentation. I see this as the future of professional & field ready HVAC design, without the cost and lengthy learning curve of Revit." "This company is awesome. The software is pretty easy to use given it's complexity but the real benefit is the service. Tech support is friendly and patient, the 10 day training course was perfect for a novice user and the trainer was open and understanding - the kind that doesn't make you feel stupid and knows his stuff so well he can explain why the software is doing what it is doing. "I have used Wrightsoft since the days of monochromatic screens and the spreadsheet-only format. I've attended several classes, been to the World Headquarters in Lexington, and even hosted training classes. The level of support is phenomenal. Both in the classroom, call in and email. I've used the Right J, Right Draw modules extensively in the new construction markets not only for the purpose intended, but also to "value engineer" the materials selection process for my clients. I can't imagine a better product. The learning curve is pronounced and requires commitment on the part of the user, but with constant use it becomes almost second nature. As a 40+ year veteran of our industry, I highly recommend this company." "As a business owner, one of the things I like is that Right-Draw gives us a level of professionalism whether it’s a specialty home or a basic starter home. Within the past year, we have actually picked up new accounts because our customers were so impressed by the professionalism of our designs, particularly when we go up against contractors who are giving them what amounts to a crayon rendition on a napkin." "I’ve always been a proponent of proper sizing of air conditioning equipment. For a standard 3,000 square foot, 4 bedroom house, doing the load calculations manually would take many hours. Then I found Wrightsoft, and by using their Right-J and Right-D, I was able to produce load calculations and duct design in about an hour." "I've been to three of your trainings over the last 7 years and every time I go I learn something new. 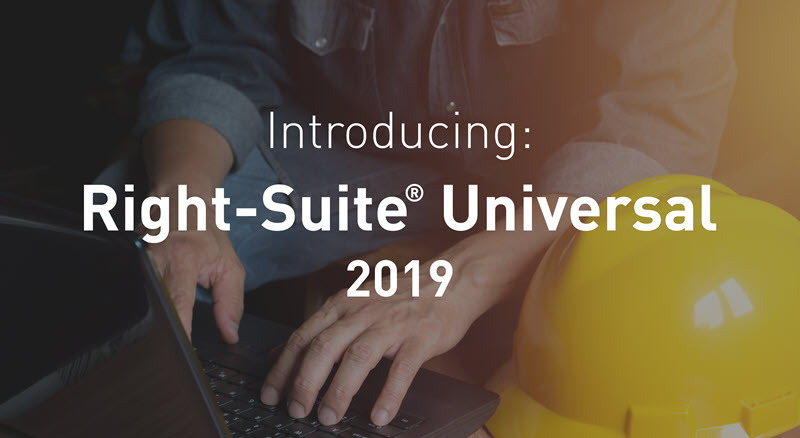 The class provides a thorough understanding of Right-Suite® Universal and helpful shortcuts so that I can continue to run my business effectively in this changing market." "Wrightsoft’s Right-Suite® Universal has helped us to turn bids around faster, especially for custom home builders. I can simply import the AutoCAD building plans as a layer in the program, trace to complete the load calculations and add my ducts to the design, saving me a considerable amount of time. The full design and calculation is then saved in the AutoCAD file as another layer." Every great business starts with one small idea and the desire to innovate. For us, it was finding a way to automate the time-consuming calculations and designs suffocating the HVAC industry. We just knew there had to be a better way for contractors to get the job done fast enough to keep up with demand, and we were right. What started out as the automation of load calculations, quickly progressed to the automation of calculations covering all aspects of the HVAC industry. We found that with one unique technology, we could seamlessly link all calculations from Manual to Manual and ultimately save time, remove mental gymnastics and drastically reduce the margin for error. We call it Hotlink™ Technology. Our Hotlink™ Technology continues to be the cornerstone for all of our solutions, and opens the door to endless possibilities as the HVAC industry continues to expand and flourish. A Solution for Every Budget! Now offering permanent and subscription packages!